Fall Registration is Still Open for Shelter Animal Physical Health! Veterinary students and professionals are enhancing their knowledge and understanding of shelter medicine with our online graduate certificate program. Deadline for applications is August 18! 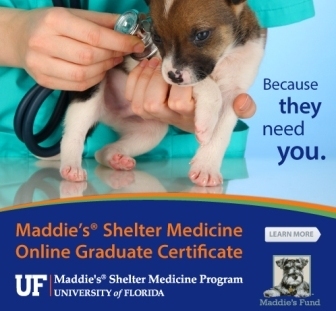 It’s not too late to enroll in VME 6811: Shelter Animal Physical Health, an online course that’s part of the Maddie’s® Online Graduate Certificate in Shelter Medicine at the University of Florida. Made possible by generous support from Maddie’s® Fund, the distance education program at Maddie’s Shelter Medicine Program enables students across the globe to receive quality instruction from experts in the expanding field of shelter medicine. Learn more about the Maddie’s® Online Graduate Certificate in Shelter Medicine , including admission requirements and how to apply. The deadline to submit applications for fall is August 18, 2014, with the online class officially starting on August 25 and course registration closing August 29. Through the power of online education, join veterinary students and professionals in learning how to evaluate and modify shelter protocols to enhance physical health and well-being of populations of dogs and cats. After completing this course, students will be able to implement best practices in sanitation, facility design, animal housing, preventive healthcare, and managing infectious disease outbreaks. Distance learning through Maddie’s® Online Graduate Certificate in Shelter Medicine gives students and veterinary professionals unmatched convenience to pursue graduate-level coursework in this growing specialty. 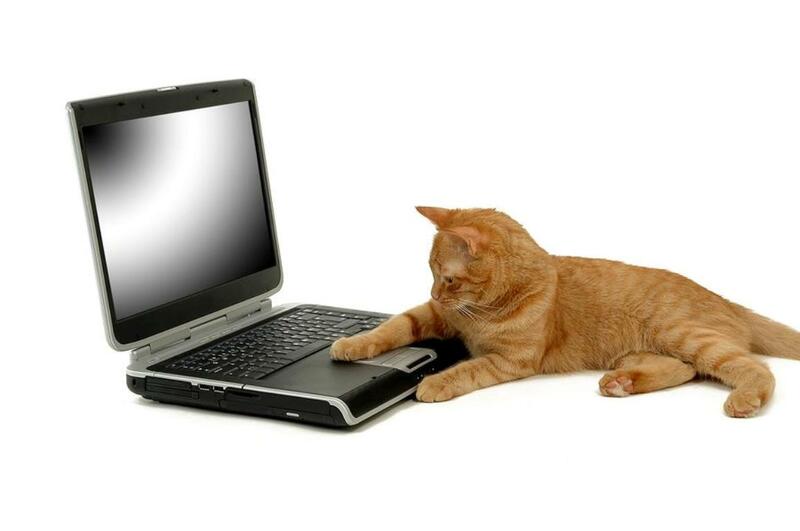 The online graduate certificate program provides the expert instruction and comprehensive training necessary to address the health and welfare issues unique to animal shelters. Our goal is to fill the existing curricular gap in the field of Shelter Medicine by providing quality online courses for veterinarians and second through fourth-year veterinary students. Watch this video to learn more about our award-winning, interactive online courses. Recipients of the Graduate Certificate in Shelter Medicine have ranged from veterinary students to established professionals seeking to enhance their knowledge of health and welfare issues facing sheltered dogs and cats. Students have shared incredible stories of how they’ve put the knowledge gained through the online certificate program to use in their own shelters and practices. Read about one certificate recipient and how she improved the health, welfare, and outcomes of cats in her municipal shelter – “Maddie’s® Online Certificate Alumnus Improves Outcomes for Shelter Cats in Michigan” We’re so proud of our Online Graduate Certificate alumni! Read more about the diverse group of students who have received the Maddie’s® Online Graduate Certificate in Shelter Medicine.